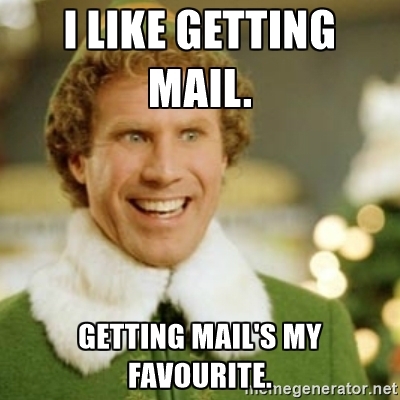 Raise your hand if you like getting mail! There is something special about getting a letter, a handwritten note, a birthday card, a catalog, or a package in the mail. 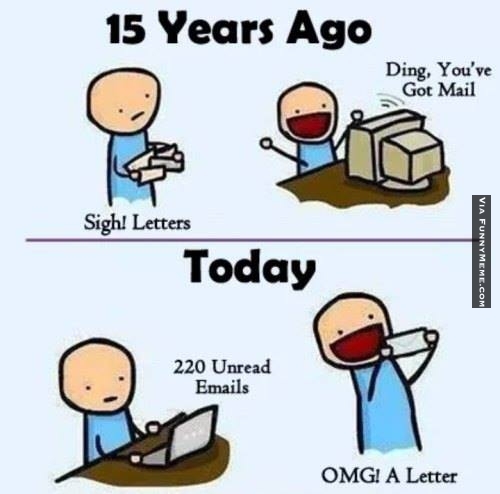 Now that I pay all of my bills online, checking the mail is even better than it used to be. The mailman is basically a superhero to my kids at home. They are obsessed with him, and they fight over getting the mail. 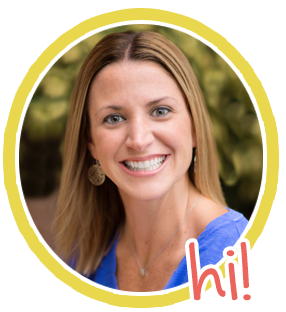 Using the simple joy of "snail mail" is a fun and easy way to build a positive classroom environment. I found this felt envelope in the Dollar Spot at Target. Recognize a student that may need a little extra love or a pat on the back for a job well done. Maybe they've met their reading goal for the month? Maybe they have been a good friend? Maybe they have shown improvement in behavior? Maybe they have mastered their math facts? A handwritten note from their teacher will be treasured by any students. 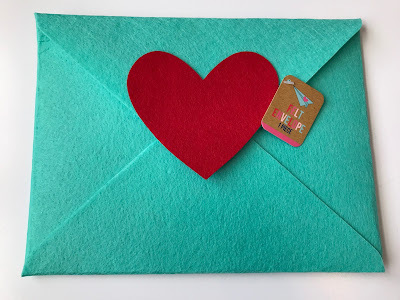 You could leave the "snail mail envelope" on a different student's desk each day, or you could add some stationary to your writing center and have students recognize one another by sending their friend a note. The Clean Desk Award is something I like to give out a few times a month. When you start noticing that your students' desks are getting messy, put a Clean Desk Award on top of the desk of the student in your classroom who has the neatest desk. 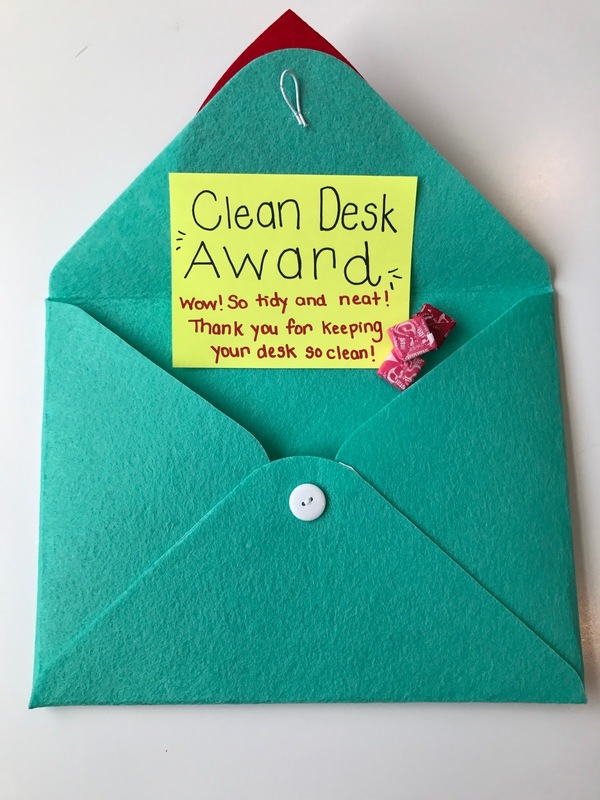 When the kids walk in to the classroom in the morning, they will immediately see that one of their classmates got the Clean Desk Award. Without ever having to say anything, all of your students will be tidying up their space because they will want to win the Clean Desk Award the next morning! Don't give out the Clean Desk Award every day or it will lose it's appeal! Maybe give out 2 or 3 one week and then wait a few weeks. It's like magic!